Love free points – you? One of the main reasons I started blogging almost 8 years ago was to have a platform to share what is in my head and to teach. 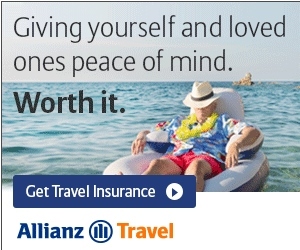 As a Delta flyer this is always needed because Delta is not focused on finding the best for you but on extracting the most from you (while couching this in the marketing spin of “choice”)! So today I thought I would share some of the bits rattling around my brain. Here is another one. While I am no fan of spending miles to upgrade i.e. allowing Delta to sway you to burn miles rather than to wait for a free upgrade – if you are going to do this why over pay? We all know Delta will publish what it costs but this price may or may not really be the price if you play around. For example, if you do a new ticket search you may come up with one price. Click on it and it may show another price. But here is a secret most do not know about, if you already have a coach ticket price booked and walk through the “change ticket” choice many times you will find an even lower price than any of the other options you just looked at! Neat right (and maybe a bit unethical, Delta)? Broken stuff. When you fly Delta you expect all the stuff they advertise to work. I mean IFE, power, a working tray table etc. If you had known something would be busted would you not have moved to another seat or booked another flight (I would have)? So, keep in mind either the Delta flight attendants hand units can make points right away to try to make up for your issue. If they say no @Delta on twitter or a quick complaint on Delta.com can result in some number of points as an I am sorry. Re-booking (or at least checking for re-booking). If you book a SkyMiles ticket and then forget about it until time to fly you just don’t get it. If you check the same flights, at least once a week, you will likely find a lower priced award ticket than when you booked. Even if you are not an elite with free changes (ie no change fee) there will likely be a schedule change to allow you to get a free change and save points. Learn this one – please! Lyft. I tend to Uber most times because I get such a flood of free Uber credits via creative spending techniques. But, since FreeBrid does work with both Uber and Lyft, and you can earn Delta SkyMiles with Lyft rides, why not now and then! Since SkyMiles ticket prices “Keep Climbing” we need all we can and this is one way. [really selective] SkyMiles shopping choices. 9.9 times out of ten I will take CASH via TopCashBack over the chance to earn bonus SkyMiles via their shopping portal. But there can be the few really carefully researched selective opportunities that will yield a better return than cash. I get the fact that I am really reaching on this one but it is worth a click or two to check before you simply go with your default (most times better) cash option. There is one thing I will never ever do (unless Amex wakes up and changes things). I never ever pay for my Delta tickets with my Delta Amex cards. Earning 2x points is just a joke when I can earn so much more on cards like my Chase Sapphire Reserve card. Amex needs to start offering, at least, 5x points for Delta ticket purchases (10x would be even better). Also I have jumped out of SkyMiles dining as IMO the iDine cash option is a stronger proposition (stacked with all the ones that work as well) vs earning SkyMiles.